If you have any questions about the Aurora information page below please contact us. 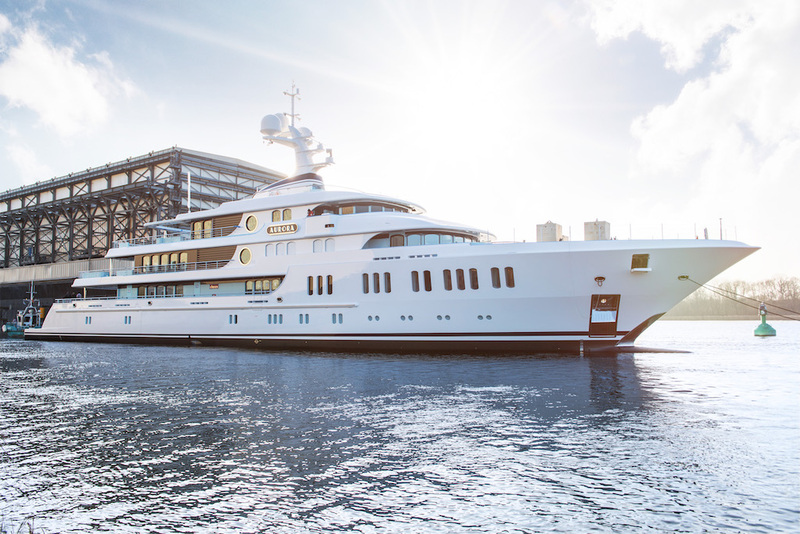 Luxury motor yacht AURORA (Project GATSBY or as referred to in media: Project THOR) is a breath-taking 74-metre completely custom, full displacement vessel, built by the leading German shipyard, Lurssen. 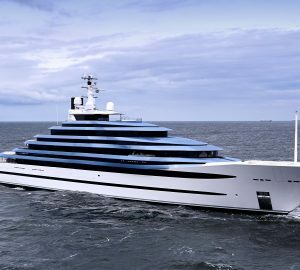 The superb mega yacht AURORA has been entirely designed by multi-award winning Andrew Winch Designs. Her launch is in 2017. Spreading over five decks, the 74-metre superyacht AURORA boasts striking interiors, providing deluxe accommodation to up to 12 guests in 6 beautiful and spacious suites. 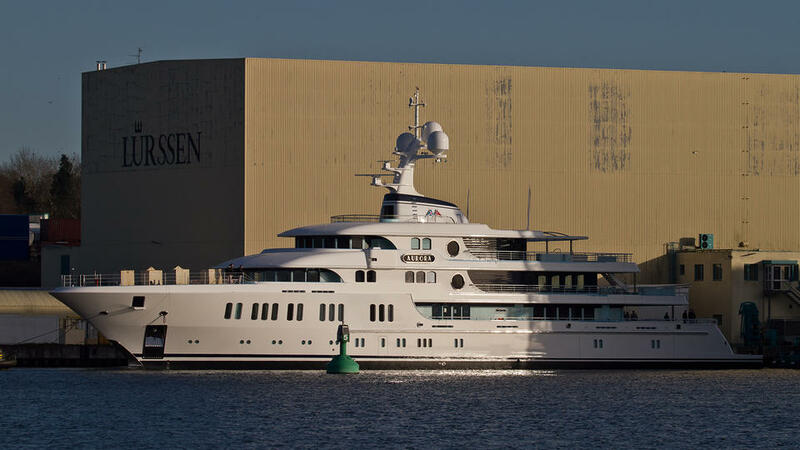 Made of steel, this imposing yacht by Lurssen features an impressive beam of 13,1m (42'98'') and a draft of 3,75m (12'30''). Accommodation aboard the impressive 74-metre six-deck superyacht is offered to up to 16 guests in 8 beautifully appointed suites. We do have available further amenity, owner and price information for the 74m (242’8’’) yacht Aurora, so please enquire for more information. The luxury yacht Aurora displayed on this page is merely informational and she is not necessarily available for yacht charter or for sale, nor is she represented or marketed in anyway by CharterWorld. This web page and the superyacht information contained herein is not contractual. All yacht specifications and informations are displayed in good faith but CharterWorld does not warrant or assume any legal liability or responsibility for the current accuracy, completeness, validity, or usefulness of any superyacht information and/or images displayed. All boat information is subject to change without prior notice and may not be current.